In his career Derek has worked extensively in the UK and Europe for governments, multi-national corporations, local government and charities. He has a strong track record in working with diverse organisations on global leadership programmes, executive coaching, facilitation of groups and workshops. 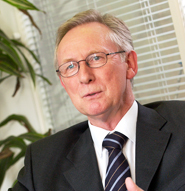 Derek’s qualifications include an MA in Management and Organisational Learning. He has trained at the University of Surrey, Human Potential Research Project and is a qualified sports psychologist. He is also a Fellow of the Chartered Institute of Personnel and Development. In his organisational career Derek has worked as a Development Adviser with the UK Cabinet Office, a Senior Lecturer in Organisation Behaviour, in the retail and insurance sectors and was Head of Learning and Development for a large government organisation. Derek has the highly practical ability to make significant connections between the personal, practical and organisational. Clients have said about Derek that he has the capacity to step into somebody else’s world without prejudice or contamination. He brings with him exceptional knowledge and skill that enables him to walk with you on your journey, which can be both challenging and supportive.